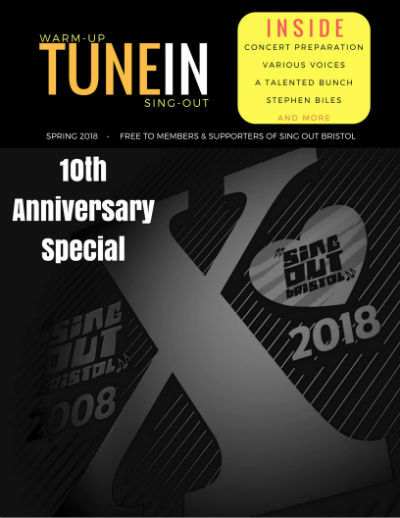 Sing Out Bristol creates a newsletter periodically to keep our friends, supporters and followers up-to-date with the activities and events of the choir. It is delivered via our friends email mailing list. The latest edition of our online magazine, Tune-In is now available. News about our upcoming performances including how to get tickets for next year's annual concert, and photos from our events over the summer. 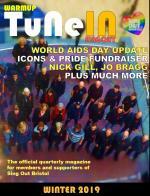 Plus the usual features and interviews from within the choir. 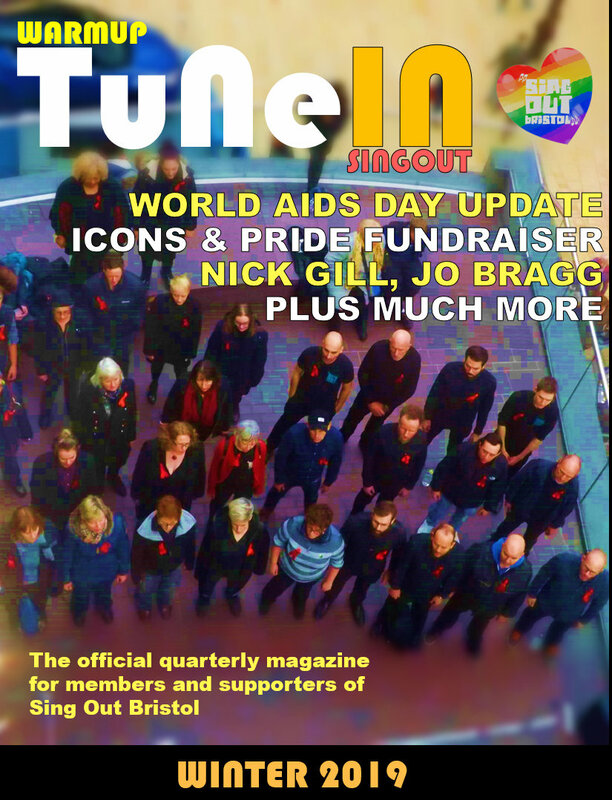 Welcome to the latest edition of Tune-In, the quarterly magazine for members and supporters of Sing Out Bristol. Click below to view the magazine online, or download a PDF version from here. Hope you're enjoying this summer. Our next quarterly newsletter is just a few weeks away. It will be a Pride special. We'll be opening Bristol Pride again, this year and you can catch us on the main stage at 12.30pm on July 14th. 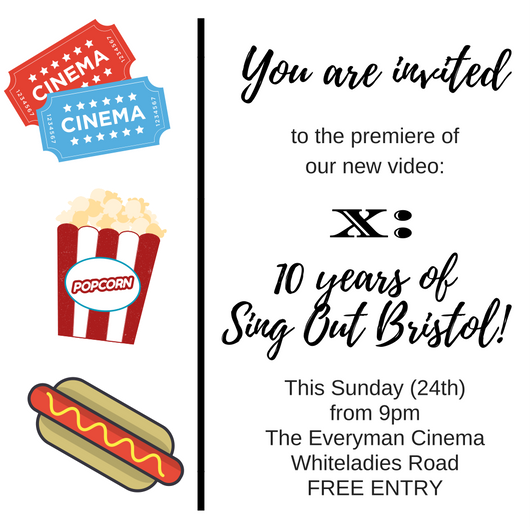 To celebrate the release of our new DVD, X-10 Years of Sing Out Bristol, we are previewing the video on Sunday, at The Everyman Cinema on Whiteladies Road. So, if you missed the actual concerts, in April; or you just want to re-live the whole thing, come along on Sunday. There is no requirement to book, just pop in from 9pm and congregate in the bar of the cinema. When the last regular movie has finished, we'll move into Screen One to re-live the concert from April. We've even produced a short trailer. If you can't join us on Sunday, look out for the Summer edition of 'Tune-In', next month for details of how to own your own copy of the concert video, on DVD or download. 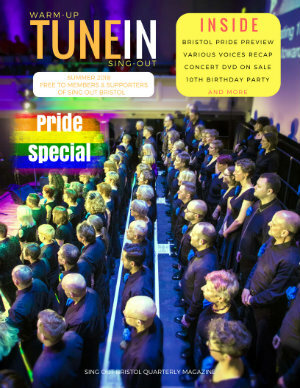 Welcome to the latest edition of Tune-In, the magazine for members and supporters of Sing Out Bristol. This edition is a special 10th Anniversary issue, to coincide with our concerts, this weekend. We hope you enjoy reading the magazine, and look forward to seeing you this weekend. PS Don't forget, if you are a former member of the choir and are coming to the concert, you will be welcome to join us for the final encore song, 'We Are Family'. Please wait for the signal from Rónán before leaving your seat.